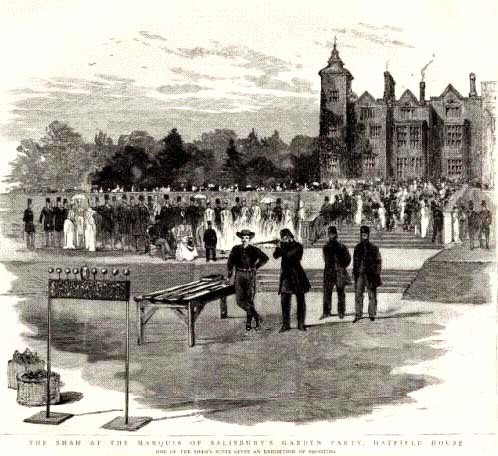 Engraving titled, The Shah at the Marquis of Salisbury's Garden Party, Hatfield House. Nasserdin Shah watches a shooting exhibition. Published in The Graphic, London, July 13, 1889.